I always look forward to Free Slurpee Day. 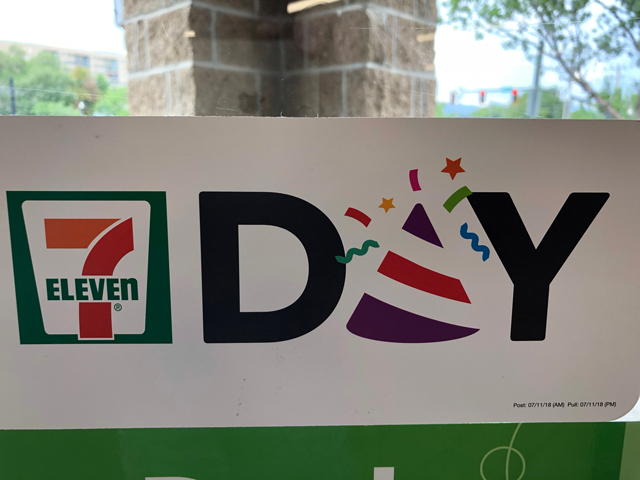 It’s a nice treat once a year that 7-Eleven stores do to celebrate 7-11 (July 11th). 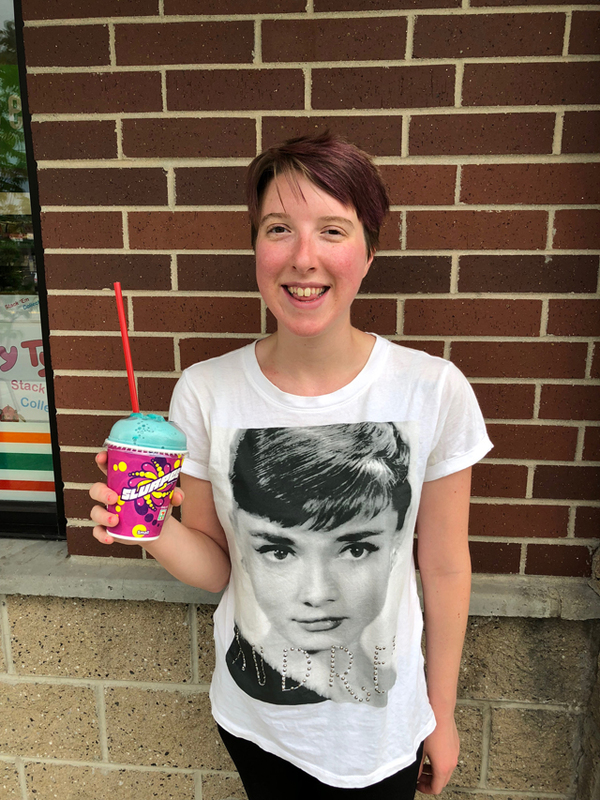 This year, my daughter Tiffany and I ventured out and found a pretty empty 7-Eleven store to get our Slurpees. 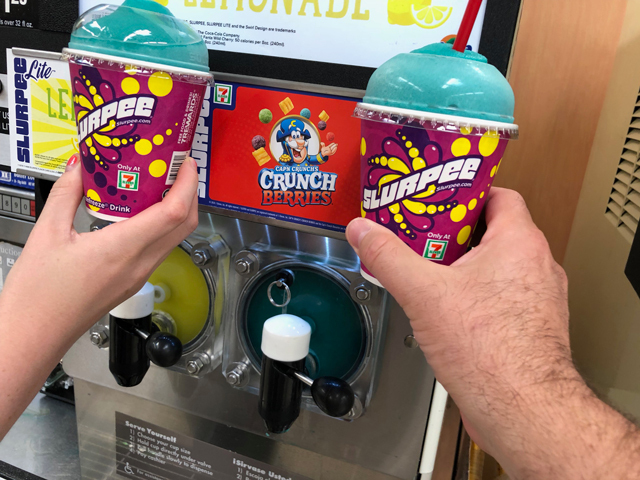 They had Crunch Berries flavored Slurpees, which we both got as our free Slurpee. The sign on the door says it all. 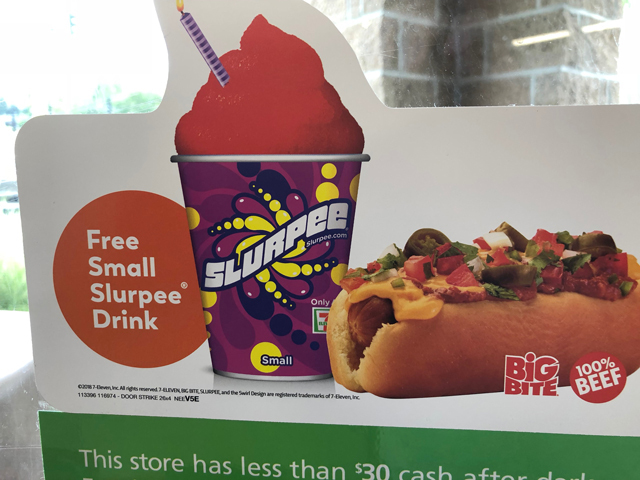 The time to get a free Slurpee is 11am till 7pm. Even though the store is open 24 hours, this limitation is a reasonable one. We went around 3pm. 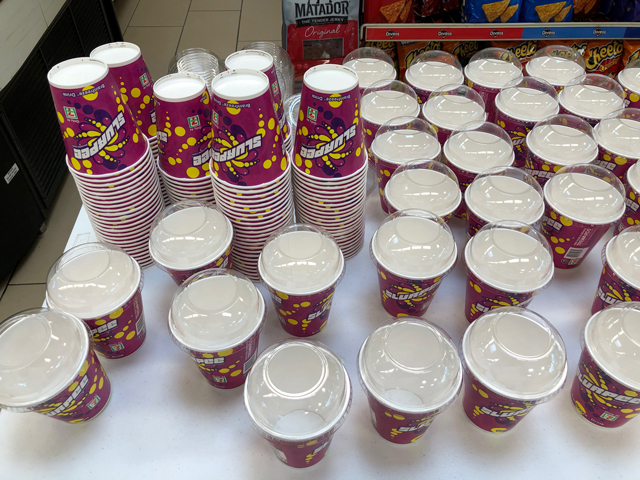 This particular 7-Eleven location had cups waiting for people to fill with their Slurpee flavor of choice. I normally go each year, which I did in 2012, 2013, 2014, 2015 and 2016 [at least those are the years I blogged about this annual event] I missed 7-Eleven Day in 2017 as I was vacationing in Europe. I’m sure there might have been a 7-Eleven store somewhere in Germany, but I wasn’t going to spend the efforts to find one. Also, I think they only do this in the US. 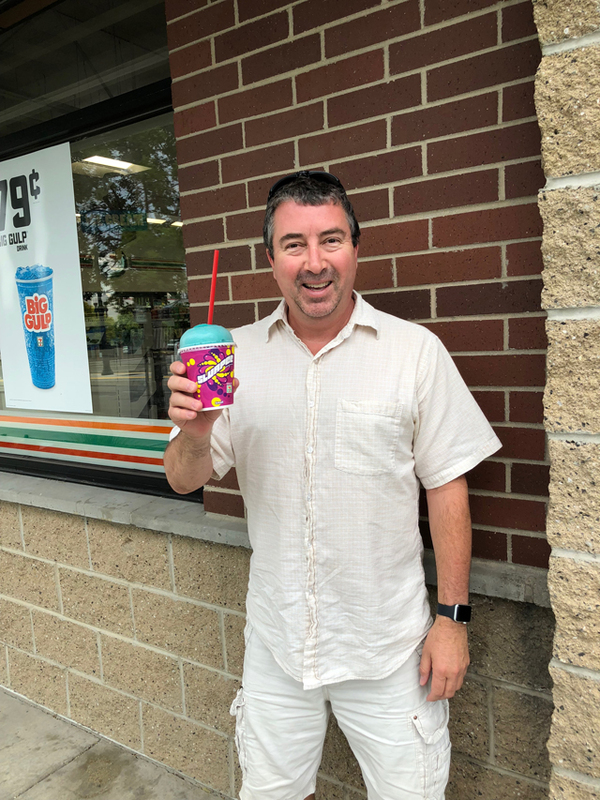 Happy Marty with a Free Slurpee. and Happy Tiffany with her Free Slurpee. Who went and got their free Slurpee this year? Leave a comment below. Our closest 7-Eleven stopped early because they ran out of cups. If they have no cups, they’re done. You can’t use other cups for it even partially filled. So we went to another one that had half their taps empty, no lids, and the floor was so sticky that it took five minutes of walking around on concrete and dirt to get it all off our shoes. I did try the Crunch Berries one and thought it was only okay. Kinda weird actually. That’s a bummer they ran out of cups. The other location didn’t sound much better. Glad you at least got to try a Slurpee, even if the flavor was a bit weird. I couldn’t even say where the nearest 7-Eleven is here? Pretty sure I’ve seen a couple, but they’re scarce. I would think that AZ would have some, but maybe not. They are all over the place here in UT, with some locations across the street from each other.